We have already seen one iPad clone from China which runs Microsoft’s Windows 7, now it seems there is another one from another Chinese manufacturer that runs Google’s Android OS. 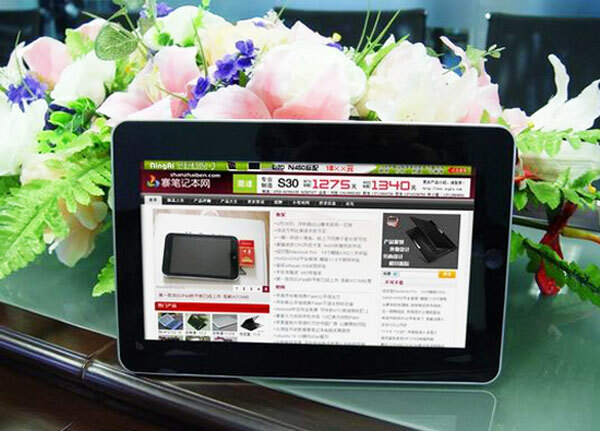 The Chinese iPad clone features Google’s Android 2.1, and it comes with a 1GHz Cortex-AR8 processor and will be available in two versions a 7 inch model and a 10 inch model. The 10 inch model with feature a 1024 x 600 pixel display, 16GB of flash storage and 512MB of RAM. There are no details on pricing or availability as yet, although the manufacturer expects to start selling them some time in June. Have a look and our article on Android vs iPhone to see which smartphone and mobile platform is best for you.